A sharp mind and steady hand clients can rely on during times of corporate crisis. Having spent the first half of her career as a trial lawyer, she is both tenacious and result-oriented when called upon to reduce her clients’ legal and financial exposure through complex negotiations. Kelly Rittenberry Culhane is a managing partner of the firm and co-manages the firm’s Texas and Chicago offices. Kelly is in the firm’s outsourcing practice group, as a key team member with an emphasis on handling the sourcing of human resource/professional services/consultant functions. She also serves as the Chair of the Insurance practice group and practices in Culhane Meadows’ Dallas office. 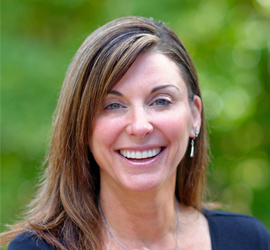 Ms. Culhane has over 20 years’ experience focused on advising clients on insurance and risk-management matters (having served as General Counsel and Chief Operating Officer to two national law firms, outside general counsel to a wholly-owned subsidiary of the Tokio Marine Group, and as carrier-approved defense counsel in professional negligence actions). As a former trial attorney at one of the world’s largest firms, she handled all types of complex commercial litigation, insurance, and regulatory matters, while also representing these clients in key transaction with business partners. She represented individual accountants and the Big Three accounting firms in complex regulatory matters and was appointed to serve on a task force for a Fortune 100 company advising on CPA regulatory issues. Her transactional clients are global companies (spanning a wide range of industries) who frequently call on her in times of crises and to assist in key legal and business strategy decisions. Kelly’s recent experience includes acting as lead counsel for a global business travel spin-off, resulting in one of the world’s largest travel agency networks with over 2,200 travel service locations in over 140 countries and territories worldwide. She is a contributing author to LexisNexis’ Lexis Practice Advisor® Outsourcing module published in September 2016. Since 2014, Ms. Culhane has been voted by her peers and clients as one of the Best Lawyers in Dallas (Insurance), as published by D Magazine. Kelly has been named as ‘First Person’ by Womenetics, an organization devoted to advancing women as business leaders. Her passion is her work in connection with her appointment to the Board of Directors for the National Center for Missing and Exploited Children, Texas Regional Office. She mentors and advocates for survivors of exploitation and human trafficking. Ms. Rittenberry Culhane played NCAA Division I soccer at the University of Oklahoma. When not practicing law, she enjoys competing in triathlons and other races with her son and daughter.